Do you want to enjoy calm, restful sleep WITHOUT turning to expensive and dangerous pharmaceuticals? Then you're going to want to seriously consider valerian root. 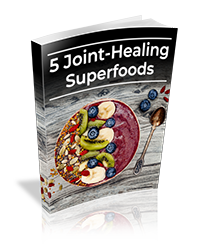 This popular perennial herb, also known as “nature’s Valium,” has been used in traditional medicine for centuries due to its health benefits. You may have heard that valerian has sleep-inducing qualities. The valerian plant has been used to treat sleep disorders for decades in its native Asia and Europe. Surprisingly, this plant has a variety of health benefits, from improving heart health to preventing seizures. Valerian has been used in traditional medicine for over 2,000 years to treat insomnia, tremors, headaches, heart palpitations, and more. Today, root extract from the Valeriana officinalis variety of the valerian plant is the most common form of the herbal supplement. Valerian root extract is gaining traction in the United States as a sleep aid. In fact, research reveals that 1.1% of the United States population reports using valerian root in the past week. Has this mysterious root piqued your interest yet? Let’s take a look at how valerian root works to produce a variety of medicinal benefits. The valerian plant is a flowering plant native to Europe and Asia that has over 250 different species. The part of the plant used the most for medicinal purposes is the root (or rhizome). There are several different theories on how valerian acts on the brain in order to induce a calm and tranquil state. 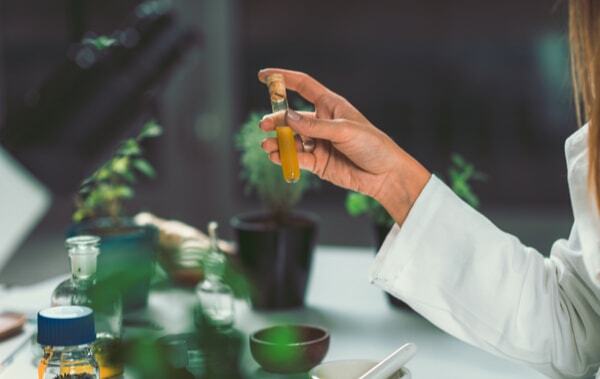 This extract is thought to include a number of compounds, such as isovaleric acid, valerenic acid, and other compounds that may reduce anxiety and promote a restful sleep. While the chemical composition of valerian differs based on the species, season, geographical source, care, and processing, there are three main chemicals that are understood to be the most active and effective to produce healing actions throughout the body: valepotriates, essential oils, and alkaloids. One of the most incredible ways valerian extract benefits health is with its action on gamma-Aminobutyric acid (GABA) mechanisms in the brain. 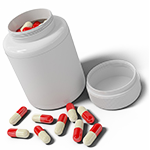 In pharmaceutical research, low GABA levels have been associated with poor sleep quality and higher levels of anxiety. By inhibiting the breakdown of GABA in the brain along with increasing the reuptake and overall levels of GABA, Valerian acts on the body’s chemistry in order to improve mood, sleep, and a surprising amount of other health benefits throughout the body. 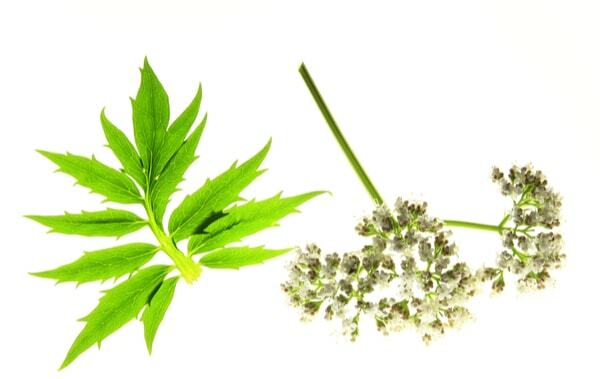 Now that you understand how the phytochemicals of the valerian plant act on the body and brain, let’s take a look at all of the ways valerian root can benefit your health. One of the most well-known benefits of valerian root is its properties as a sleep aid. While it doesn’t affect sleep hormones like other over-the-counter sleep aids such as melatonin, it does induce relaxation, which can help with occasional sleepless nights. Valerian has sedative properties due to its composition of a number of acid compounds, antioxidant properties, and its ability to act on GABA and serotonin receptors in the brain. Remember valerian root’s other name, “nature’s Valium”? This is because valerian root has been found to be a powerful mood regulator, similar to the properties of popular prescription anti-anxiety medications such as Valium and Xanax. Due to its ability to increase levels of GABA in the brain, valerian root reduces symptoms of panic and anxiety. 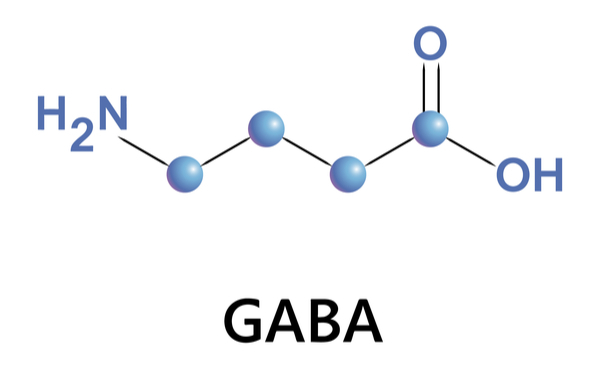 During periods of stress, GABA levels are decreased in the brain. An amazing property of valerian root is its ability to increase the reuptake of GABA levels in the brain and decrease the breakdown of GABA, inducing an anti-anxiety effect. Another way valerian root may help you control your stress is with its mood-regulating properties. Believe it or not, valerian also affects serotonin levels! Serotonin is well known for its association with mood regulation and antidepressant properties. 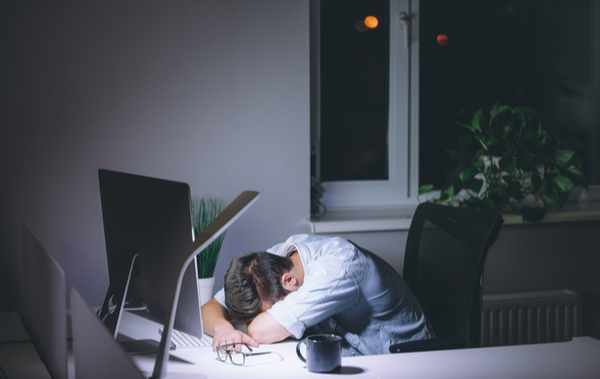 Experiencing sleep deprivation is an unfortunate side effect of unmanaged stress. Have you ever been kept up by your racing thoughts? Another health benefit of increased GABA levels in the brain is that they are hypothesized to ease the symptoms of obsessive-compulsive disorder (OCD) and attention-deficit hyperactivity disorder (ADHD) such as anxiety, restlessness, obsessions, and compulsive behavior. Another surprising property of valerian root is its antispasmodic (anti-involuntary muscle spasm) effects. Valerian has been used for thousands of years for the treatment of painful menstrual cramps, and recent research supports this! Smooth muscle contractions are hypothesized to be behind painful menstrual cramps. Valerian root extract has been studied to suppress these painful muscle spasms. Some of the unfortunate side effects of menopause include uncomfortable hot flashes and sleep loss. Patients going through medical therapy for their cancer treatment often experience a number of uncomfortable symptoms, one of which is insomnia. According to the Centers for Disease Control (CDC), one in every three adults in the United States suffers from high blood pressure, a risk factor for cardiovascular disease. Valerian root may be a natural alternative to common blood pressure medications, such as beta-blockers, which come with their own side effects. Individuals who suffer with digestive issues are all too familiar with abdominal cramps. The antispasmodic properties of valerian may be beneficial for those coping with any number of digestive problems. Valerian root extract may improve cognitive function and memory in individuals vulnerable to cognitive decline. Although you’ve learned the top 10 health benefits of valerian root, it’s just the beginning! We’ve only scratched the surface of the multitude of ways valerian could improve your well-being. Valerian root has commonly been reported to be side effect-free, and it is “generally recognized as safe” in the United States. Although at this time there are no known side effects of supplementing with valerian root, most studies have examined the effects of the natural supplement on healthy individuals for a short period of time. Animal studies and some reports suggest that valerian may increase the sedative properties of drugs such as benzodiazepines, antihistamines, and alcohol. It is important to examine the possible risks and discuss the proper use of valerian with your doctor. Welcome to your Monday roundup! This week, we examine how dietary changes can affect mental health, as well as a new cancer treatment. Plus, head to Facebook for info on a recall. In today's Monday roundup, Alex Reid discusses a UC Berkeley study on dangerous substances in women's care products, plus the risk of using a neti pot and a protein that "could propel a cure for Alzheimer's."